This is our Christmas special main this year and has been really popular. The great thing about this is you can make it bigger or small if you need to. 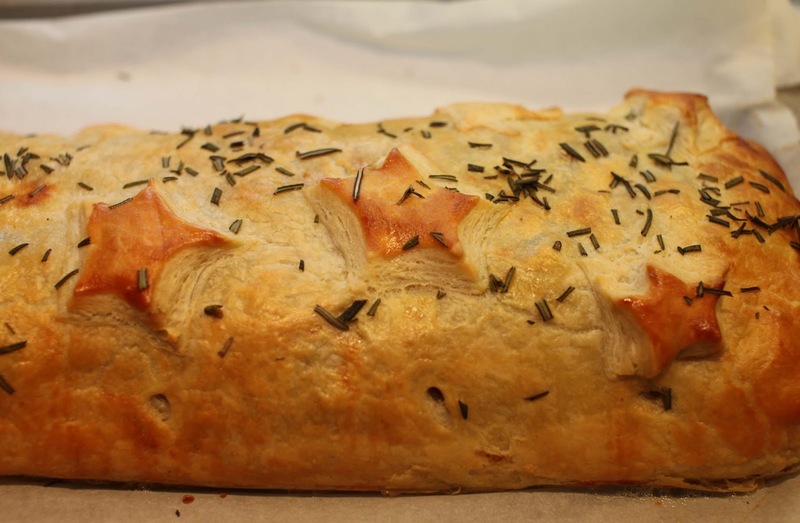 We make these big enough to serve 15 at work but this recipe should serve about six. You can make the mix in advance or even roll it out in advance and then cook it on the day. We have been serving it with roast root vegetables, port reduction gravy and spiced red cabbage. 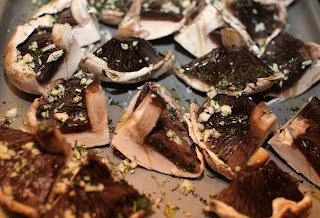 2) Quarter the mushroom and place on a baking tray. Sprinkle with half the herb and garlic mix and roast in the oven for about 10 minutes (or until cooked) at 170c. garlic. Cook a further 2 minutes then remove from the heat. 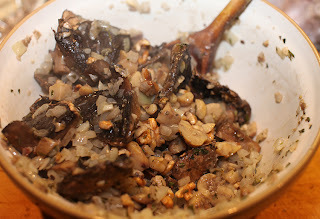 4) Chop the walnuts and chestnuts together and put in a large bowl. Strain any liquid off the mushroom and add to the bowl. Then add the onion and garlic, truffle oil and gradually mix in the breadcrumbs until the mix hold together but still moist. 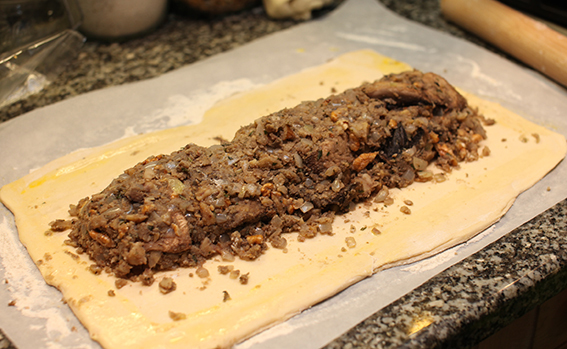 5) Cut a bit of the pastry then roll the rest on a sheet of parchment paper into a long wide rectangle but not too thin about 6mm thick. 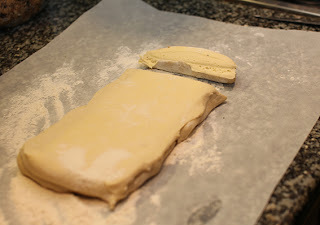 6) Put the mix on top of the pastry in a firm rectangle . Brush around the edges with soy cream (for non-vegans you can use egg wash here - but soy cream actually works just as well). Then fold over the sides and pinch the ends closed. 7) Transfer onto a baking tray. 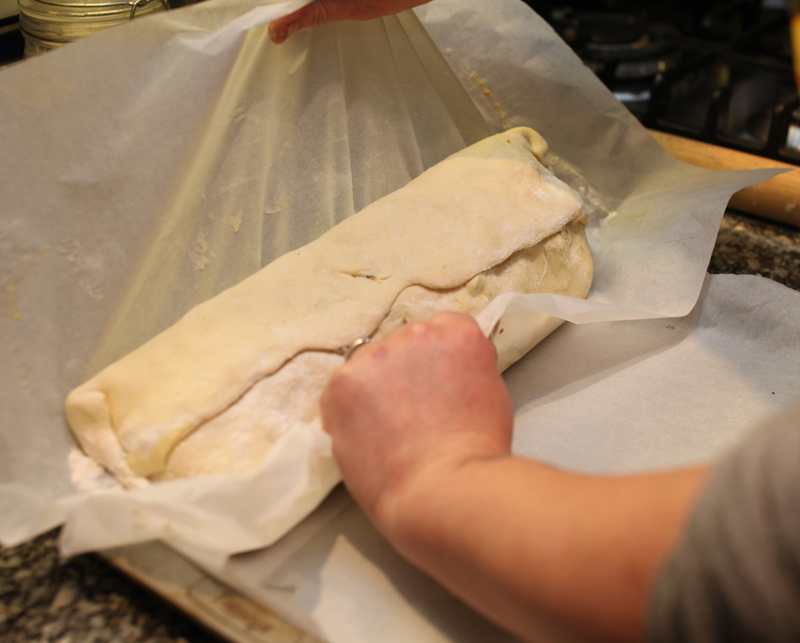 Do this by picking it the parchment paper and rolling gently onto the tray so that the smooth under side is now on top. 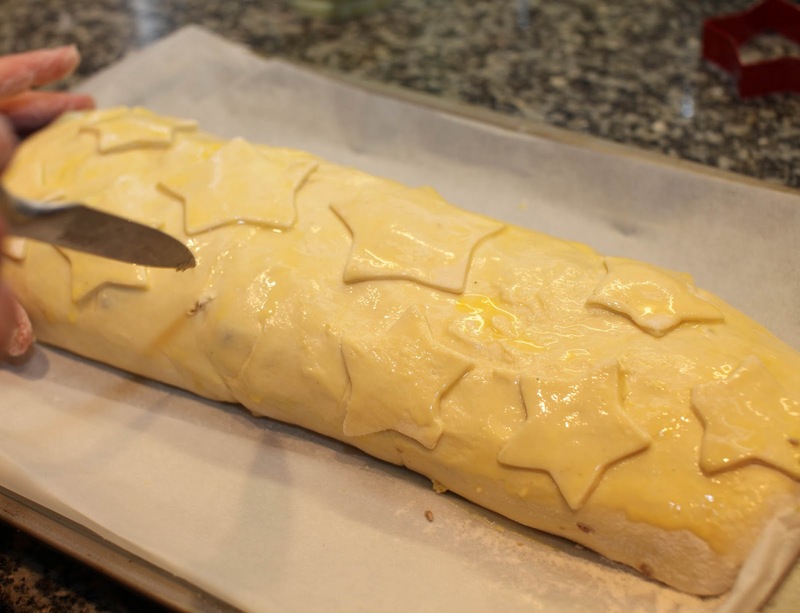 Brush with more soy cream and decorate with some stars for a festive touch. Brush the stars too. Make some small holes in the side with a sharp knife. 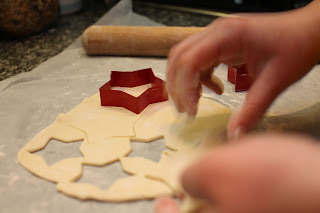 This wil stop the pastry from pulling apart and cracking. 8) Bake at 170c for 30-40 minutes.